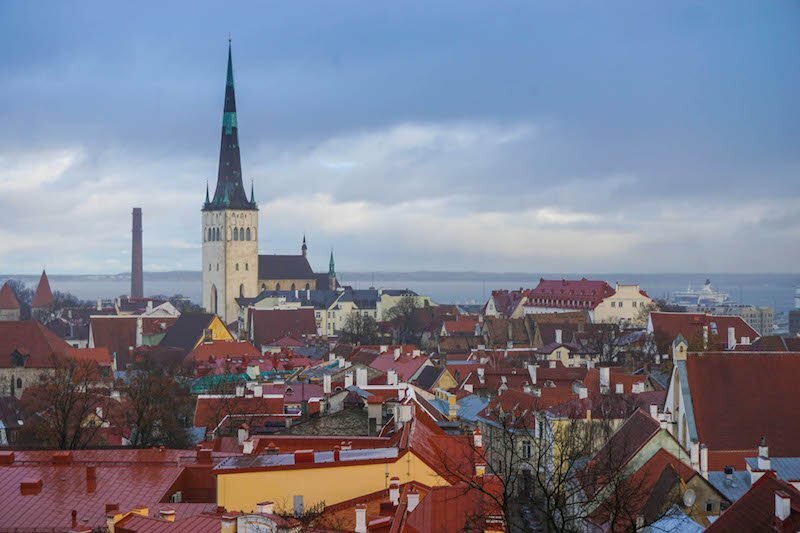 Tucked in the northeast corner of continental Europe, Tallinn is a true hidden gem just starting to receive its due. Equal parts medieval and modern, this quirky city of around 400,000 people somehow manages to constantly re-invent itself, while still honoring its past. 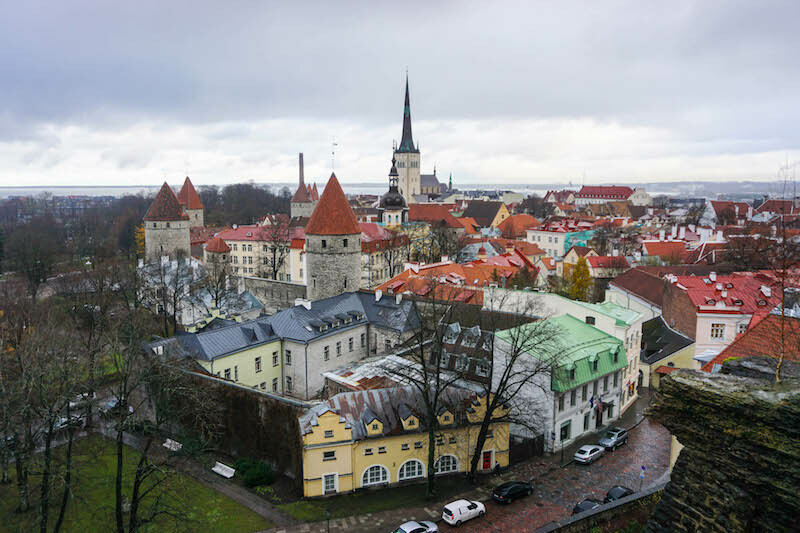 Whether you visit in the summer high season or in the wintry cold like I did, there are countless cool things to do in Tallinn. Give yourself enough time to explore this beautiful city, if you can. I spent five days in Tallinn in partnership with Visit Estonia, including a day trip to Lahemaa National Park. For me, five days was the perfect amount of time to get a good feel for what to do in Tallinn, especially since I’m becoming more of a fan of slow travel these days. 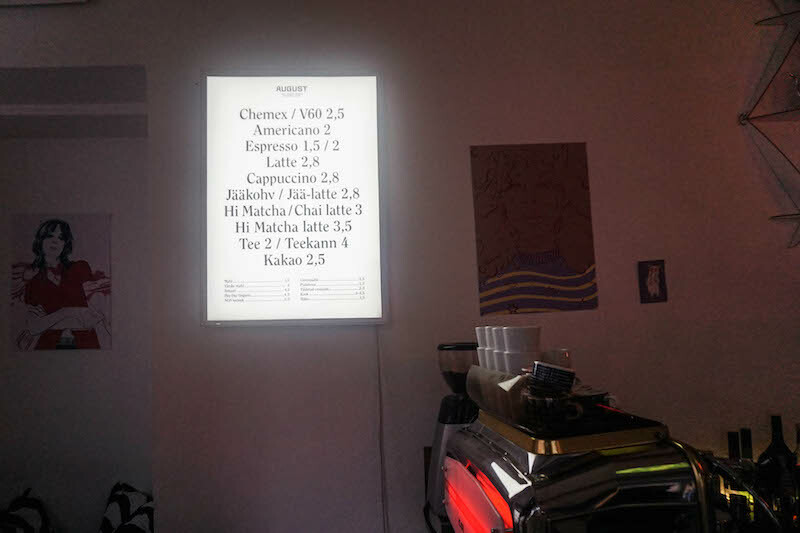 But others who have a more focused agenda and don’t get lured into every hipster coffee shop like I do may find they are able to cover the main sights in as little as one day or maybe two days. 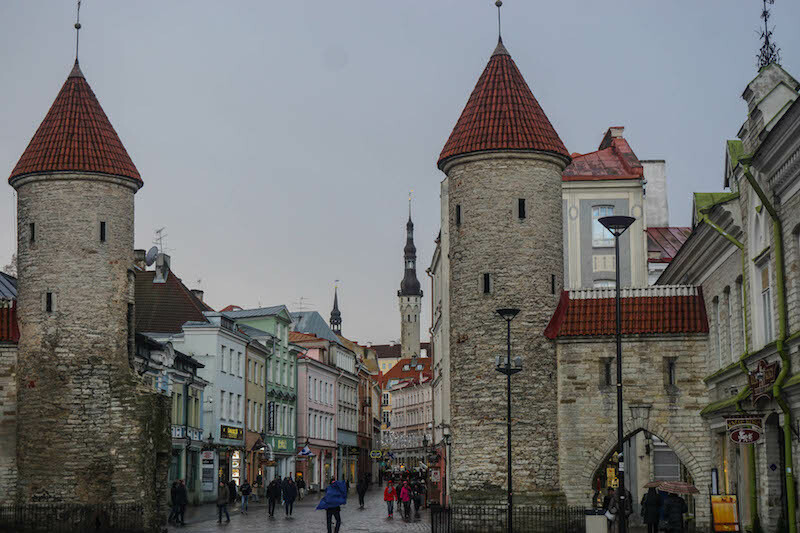 What I will say is this: no matter how much time you have, be sure to explore outside of the Old Town as well as inside it, to get a real feel for modern Tallinn. Tallinn is quite compact and walkable, with excellent public transport. 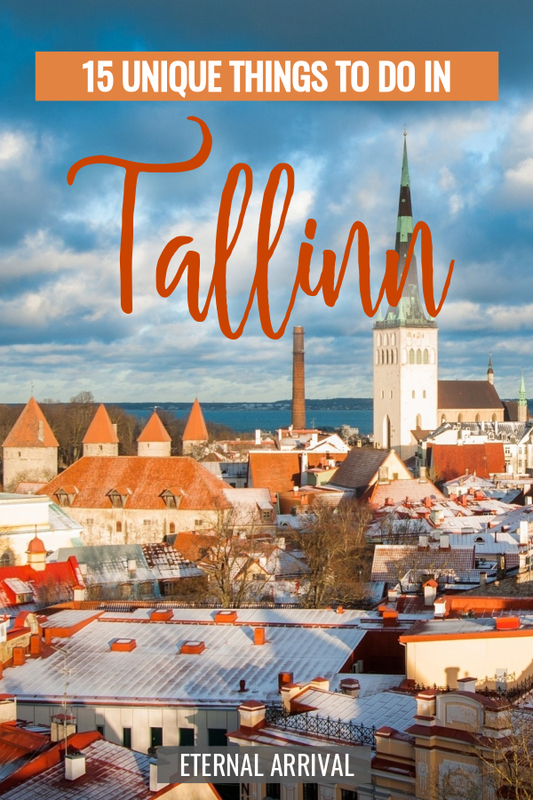 It’s super easy to combine a visit to Kalamaja and Telliskivi with a day of exploring the Old Town and still manage to see all of the most important things to see in Tallinn. Any visit to the Estonian capital would simply not be complete without walking around the UNESCO World Heritage Old Town. Sure, it’s touristy, but it’s for a reason — this is one of the best preserved medieval cities in all of Europe. 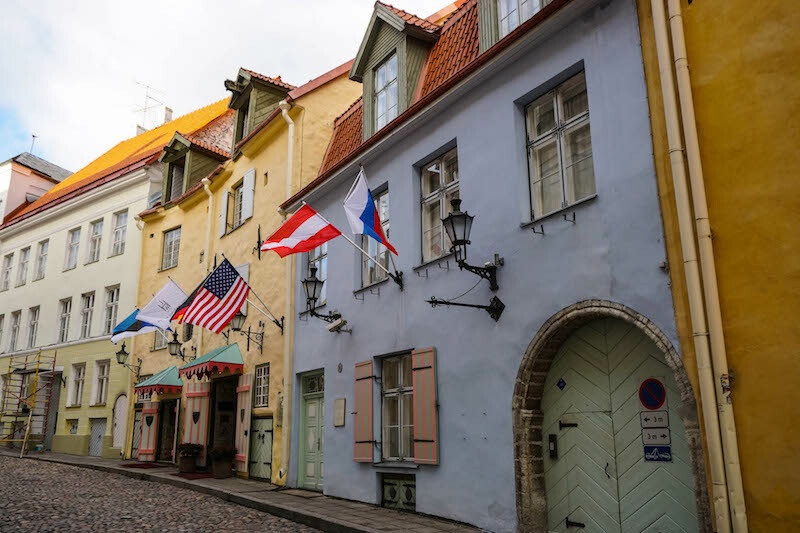 With 500-year-old buildings, streets that transport you straight to a fairytale past, and hidden medieval walkways full of historic houses, Old Town Tallinn has more intrigue and history in its tiny nucleus than other cities have in their entire limits. It’s definitely worth the time to go on one of the free walking tours (but be sure to tip!). Our guide was energetic and hilarious, illustrating Tallinn’s past with vibrant storytelling and giving us a great feel for the city. There are countless buildings worth seeing. One of my favorites was the apothecary in Town Hall Square, the oldest continuously running pharmacy in the world, which has a mini-museum showing some strange medieval cures. Let me just say this — once you see a jar full of “medicinal” sun-bleached dog feces, you’ll never complain about the taste of cough syrup again. 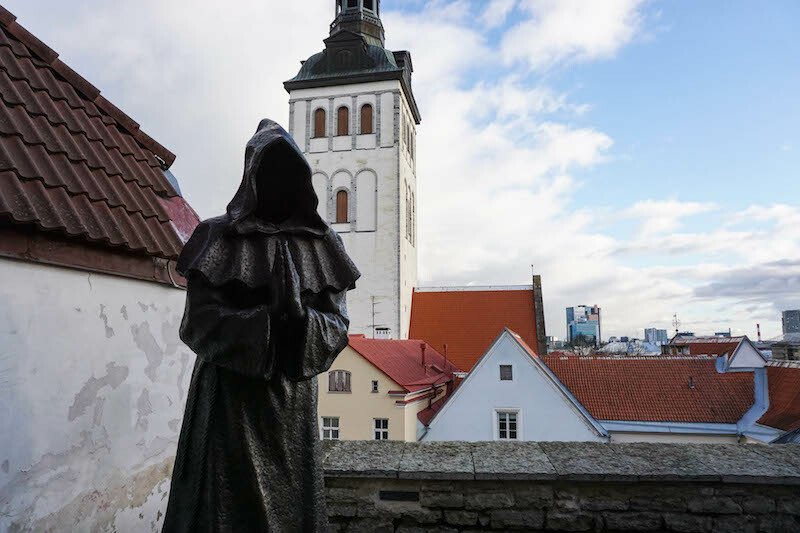 What to see in Tallinn Old Town: St. Olaf’s Church (which likely used to be the tallest building in Europe during the 16th and early 17th century), the Dome Church (home to some seriously strange coat of arms epitaphs), Alexander Nevsky Cathedral, and the Town Hall. The Old Town of Tallinn can be broken up into two distinct parts, Lower Town (All-linn) and Upper Town (Toompea). If you’re looking for a beautiful panorama, there’s no better area than the scenic overlooks on Toompea Hill. 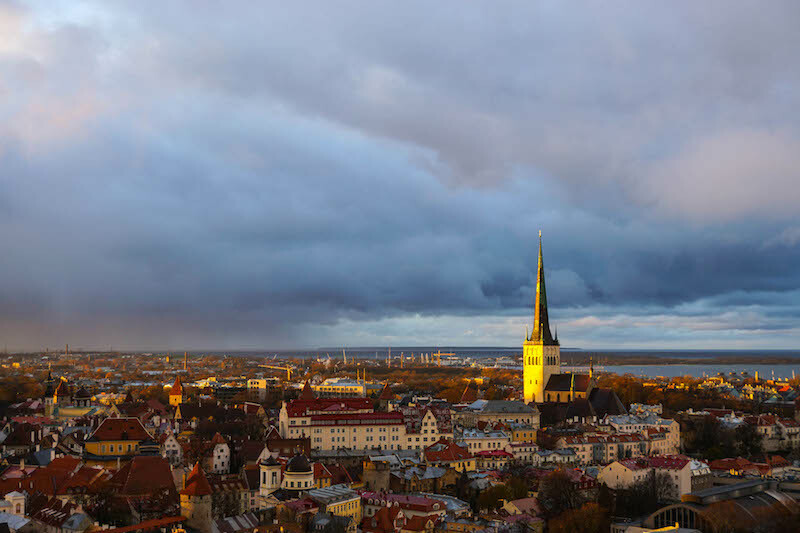 This 10th-century stronghold still offers breathtaking views over the city, giving a new perspective to the combination of historic charm and modern culture that thrives within Tallinn. 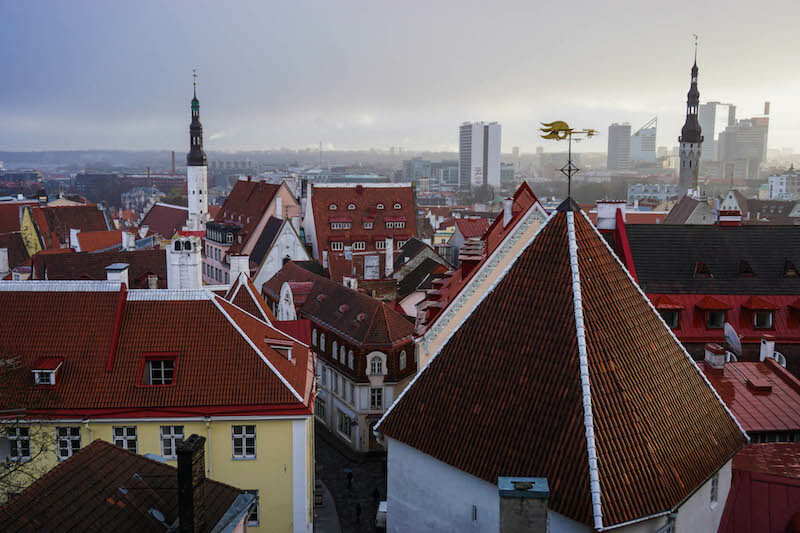 The edges of the medieval Old Town blend with a backdrop of high rises holding the energetic new youth of Tallinn, which has the highest startup rate per capita in all of Europe. 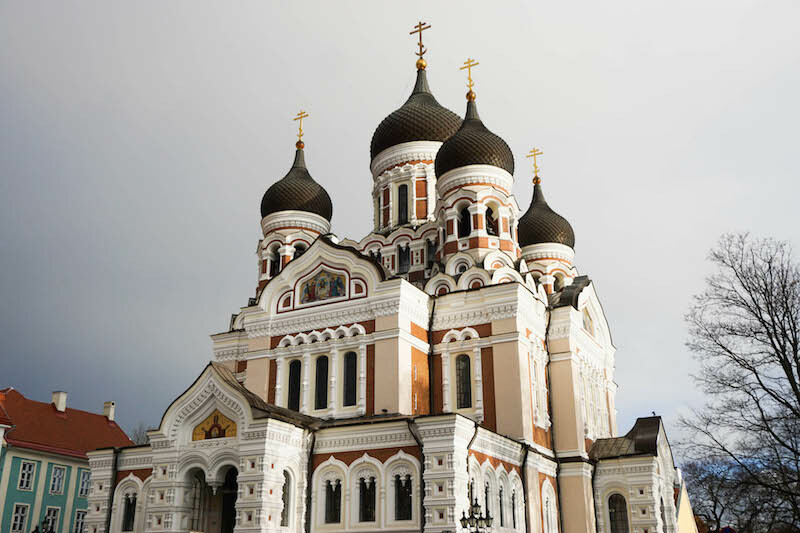 Complete with multiple viewing platforms, the Estonian Parliament building, the impressive Russian Orthodox Alexander Nevsky Cathedral, the Dome Church, and a number of odd statues and alleyways, be sure to give yourself plenty of time to explore Toompea properly. There are several viewpoints in Toompea, each with a slightly different view, and it’s worth it to seek them out in order to see Old Town from all its beautiful angles. A small passage tucked away behind larger buildings, St. Catherine’s Passage houses the traditional artisans of the city. Once home to a convent and the center of learning within the city, the cobbled streets have seemingly refused to modernize. For this reason, it’s one of the top places to visit in Tallinn Old Town. 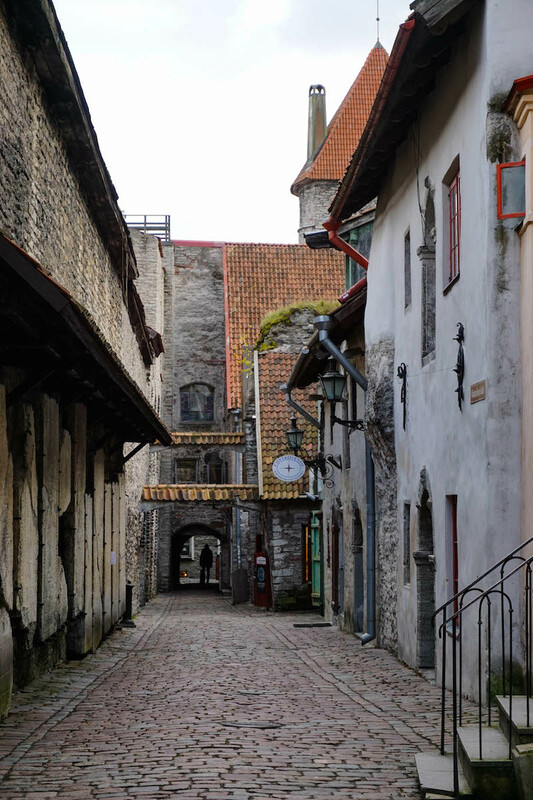 Like most of Tallinn, this passage’s architecture has largely been untouched since the founding of the city. Still, St. Catherine’s Passage somehow feels especially traditional. Handicrafts, clothing stores, and more can be found in small shops dotting the alleyway, a perfect stop for souvenir shopping. 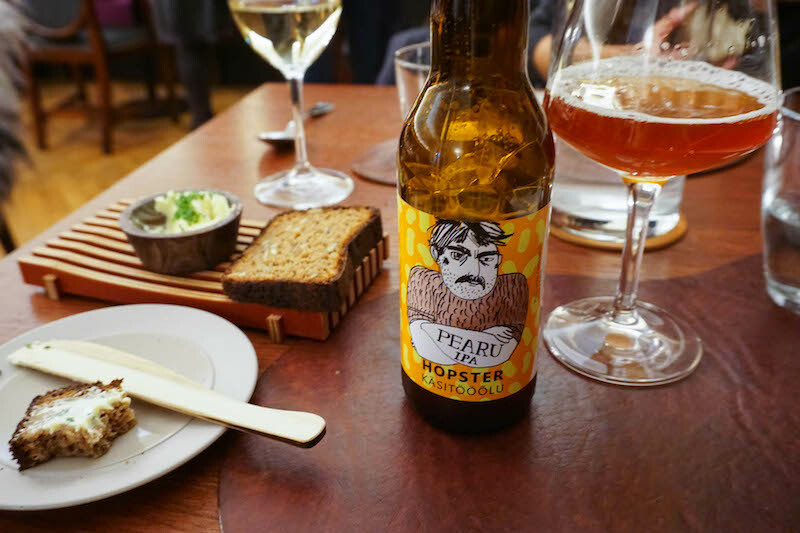 In keeping with its hipster startup credential, Estonia has a vibrant craft beer scene. There are countless places to enjoy a great beer in the city, and most restaurants will have a decent selection of craft beer. I loved eating at Leif because they actually have a beer and food pairing menu — including suggestions on what beers to pair with dessert (stout and creme brulee — hello, genius). I tried a delicious IPA, which went perfectly with my vegetarian sweet potato and mushroom salad. 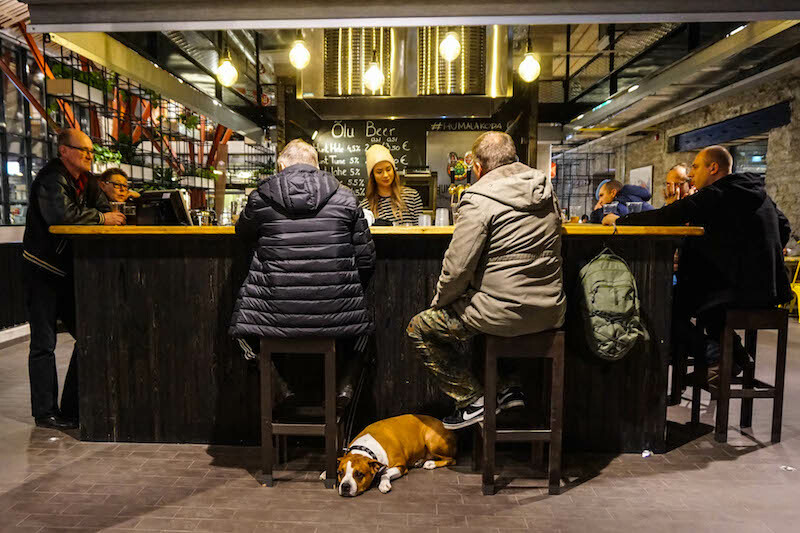 If you really love craft beer, there are craft beer tasting tours you can do to sample the best of Estonia’s microbreweries. History lesson time: Estonia was forcibly incorporated into the Soviet Union in 1940 and suffered a full 50 years of occupation. During that time, tourism in Estonia was — as you might suspect — heavily controlled. There was only one hotel where tourists in Soviet-occupied Estonia could go: Hotel Viru, run by the Soviet travel agency Intourist. The hotel was essentially run by the Soviet secret police, with a KGB outpost occupying the entire 23rd floor. When the Soviet Union began to crumble, the 6-person KGB team fled in the middle of the night, taking what they could and destroying whatever they couldn’t. 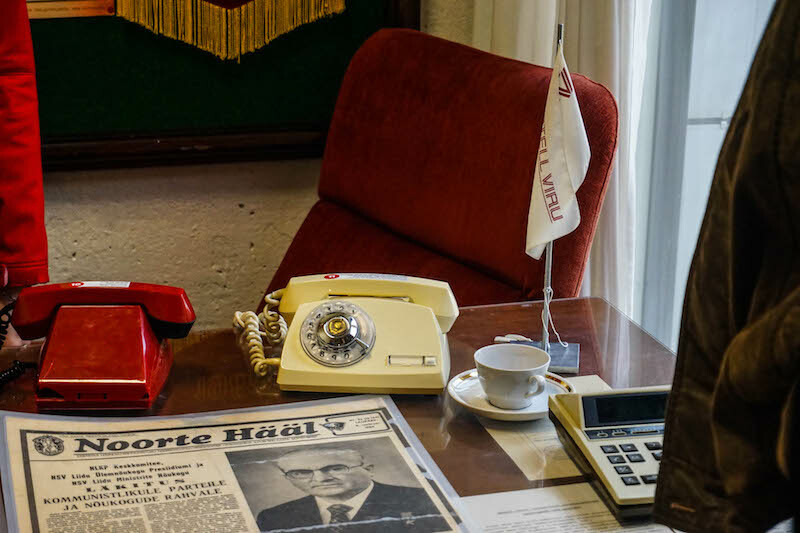 Now, the Viru Hotel houses the KGB Museum, which has a selection of propaganda, uniforms, surveillance devices (including microphones in dinner plates – they really did think of everything), documents, and artifacts from the Soviet period. 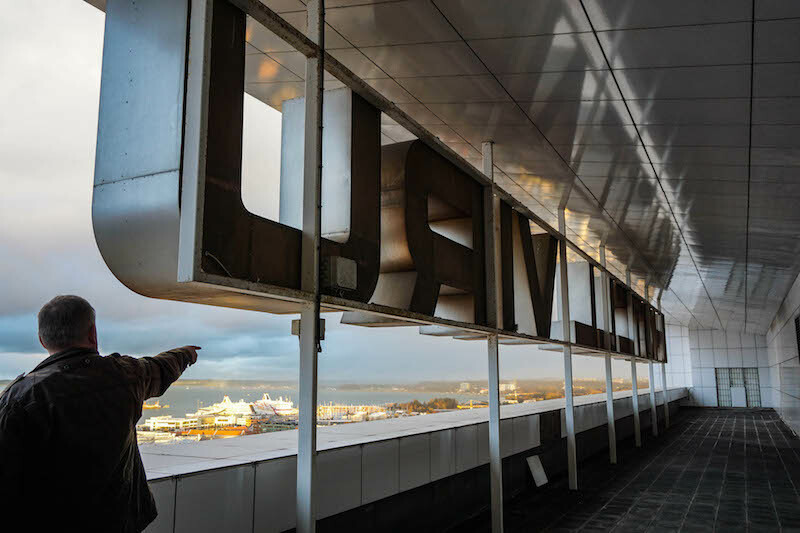 Led by a knowledgeable guide, the hotel-museum offers a peek into the Soviet past — and a stunning view of Tallinn to boot. Admission costs 11 euros and includes a guided tour. While the cost is a bit high, it’s entirely worth it in my opinion, as this is one of the most unique things to do in Tallinn. And it’s especially worth it for these views! I’ll be honest – I didn’t have the highest of hopes for Olde Hansa. It’s a medieval-themed restaurant right in the heart of Old Town, which as a card-carrying food snob is not usually the type of restaurant I go to. But the folks at Visit Estonia recommended we eat there and kindly provided us with vouchers, and I’m secretly so glad they did. The food was delicious, so perfectly hearty and filling on a cold day in Tallinn. 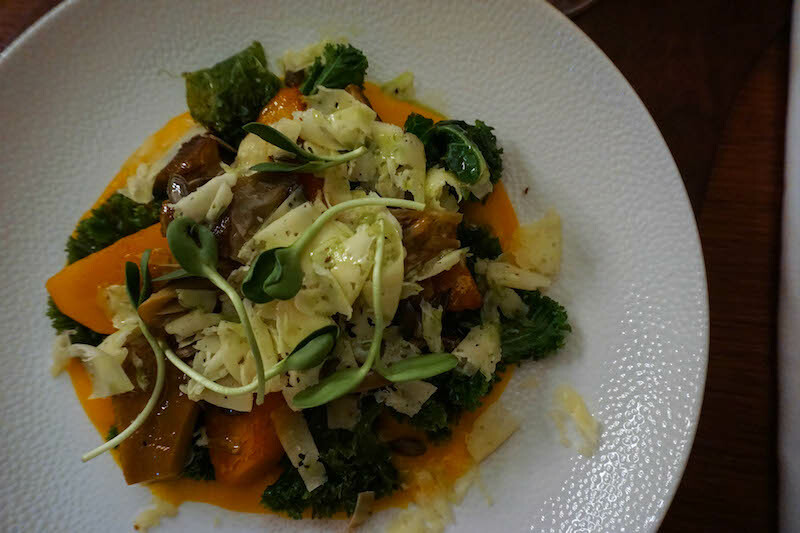 The menu will have you feeling like you’re in a tavern on Game of Thrones — I half-expected to see The Hound chowing down next to me with his elbows on the table. 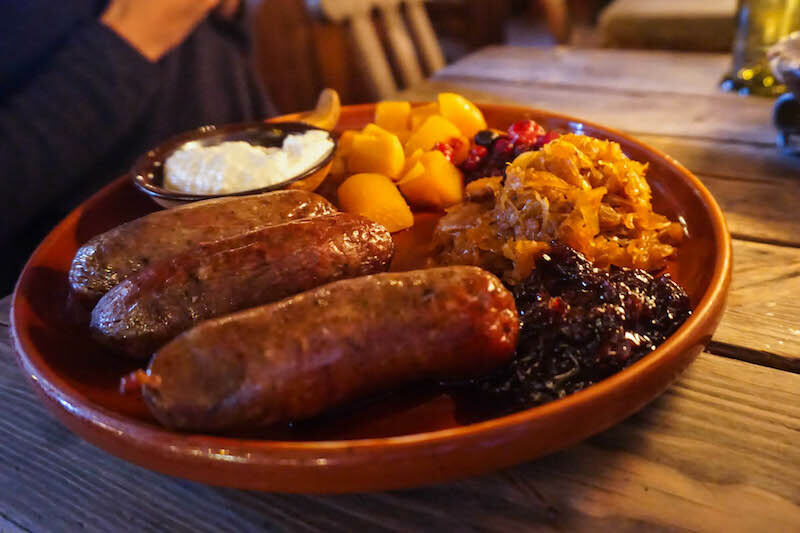 The restaurant offers medieval food with an impressive number of wild game options for people with adventurous palates — try the bear, boar, and elk sausages if you’re brave! Main courses start around 15 euros and go up from there. If you’re on a budget, but still want some medieval food with a side of role-playing fanfare (who doesn’t? ), III Drakon has all sorts of meat pasties and ales for much cheaper! 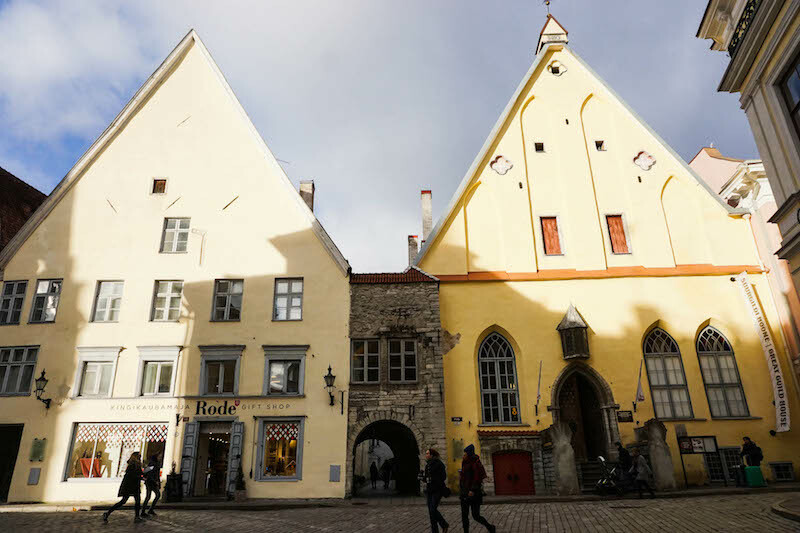 As medieval as Old Town may look, modern Tallinn is innovative, creative, and playful. Nowhere can this be seen more clearly than in Telliskivi Creative City, the heart of hipster Tallinn. Telliskivi Creative City is one of the top sights in Tallinn and is a thriving mecca within the capital, bringing in artists and shoppers alike. 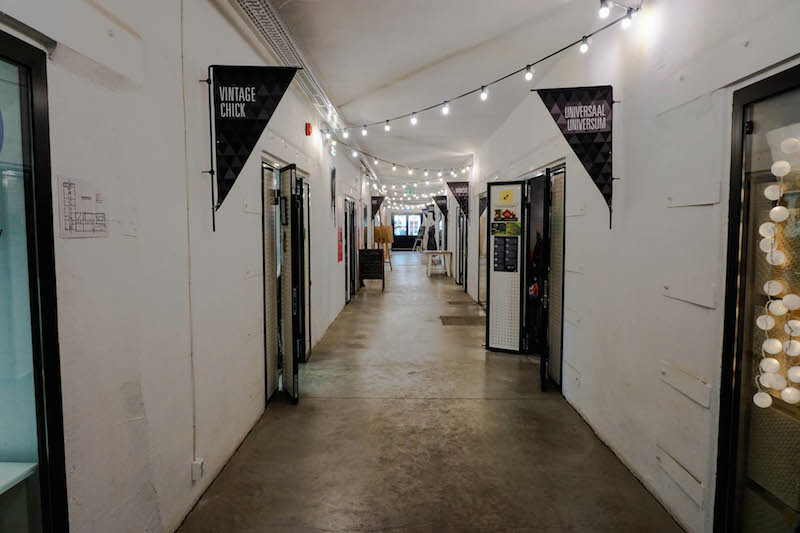 You’ll find industrial buildings adorned with beautiful murals, trendy street style, and Nordic-influenced design shops galore. 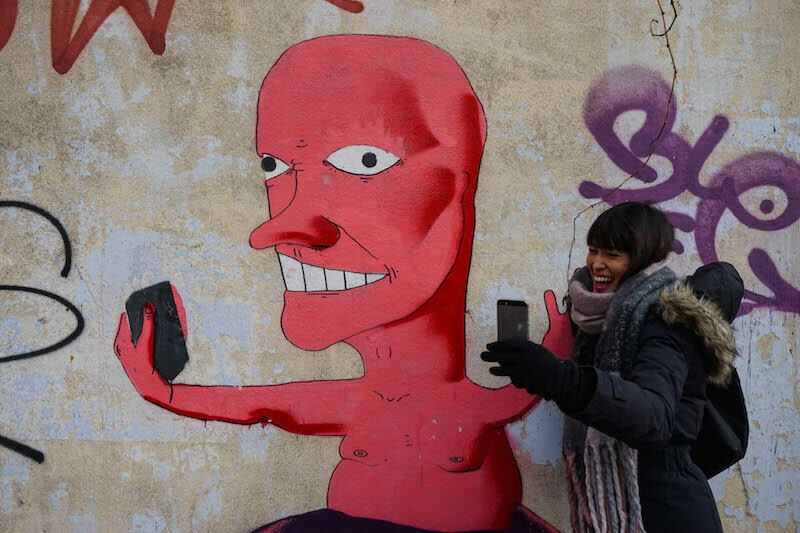 With over 250 different businesses calling Telliskivi home, this charming art district has something for everyone. I had to restrain myself from buying an absurd number of mugs for the kitchen I don’t have, because as my dad likes to remind everyone, I’m professionally homeless. With Telliskivi Creative City as its “capital”, Kalamaja is the artsy residential and small business district, and the hipster nucleus of the already-hip city. 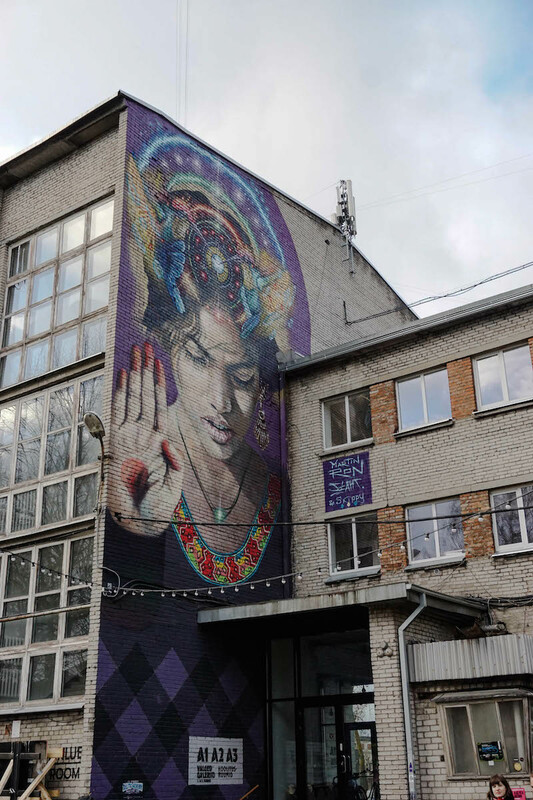 With gorgeous murals and haphazard graffiti splashed across many of the buildings, Kalamaja is a paradise for lovers of street art and good food. It’s great to walk around and explore for yourself, but if you prefer a little more direction, alternative walking tours are available. Works of art spanning buildings more than four stories high offer a free show to anyone who walks by, while tons of cozy cafés and restaurants beckon you to come in. This is where you can find the most delicious and creative food in Tallinn! The best restaurant I ate at during my time in Tallinn, F-Hoone, is located right next to Telliskivi Creative City. 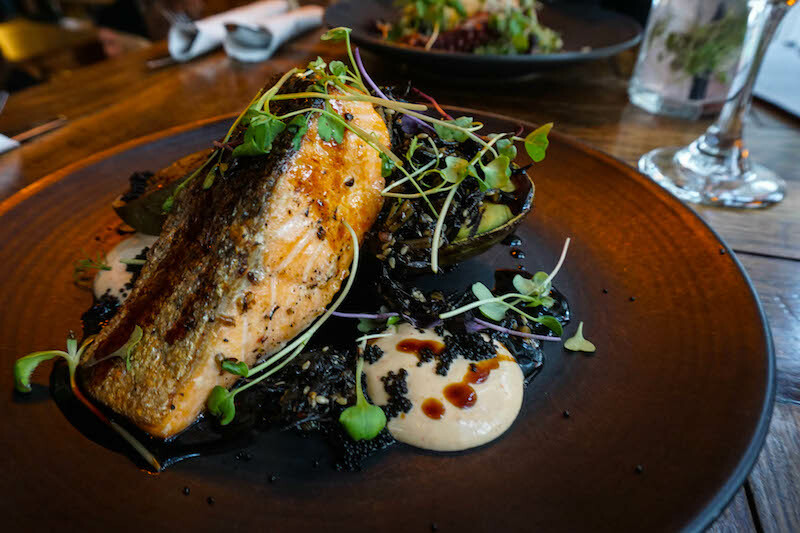 The salmon with baked avocado, tobiko, and seaweed salad was insanely good, as was the octopus and spinach orzotto. 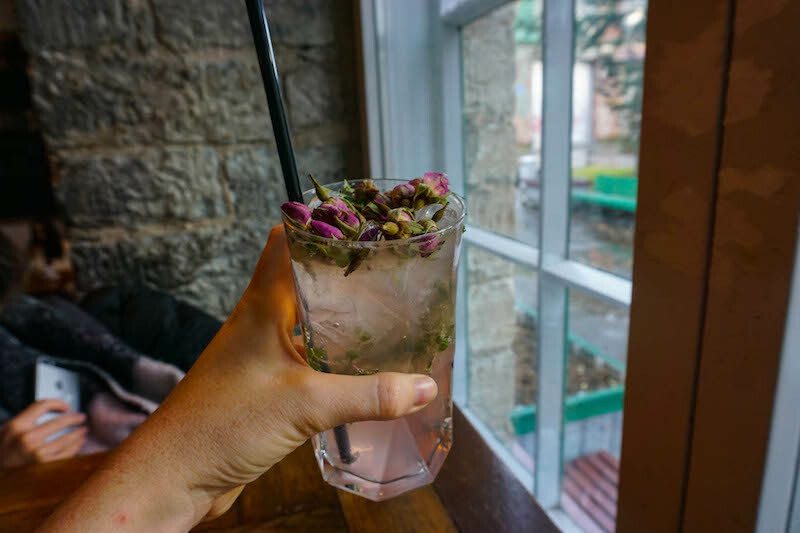 And because don’t forget a gin and rose lemonade (even if it’s 11:30)… because lemon’s a fruit, and juice is totally a breakfast food. Tallinn seems to have absorbed some of their Northern neighbors’ obsession with coffee. 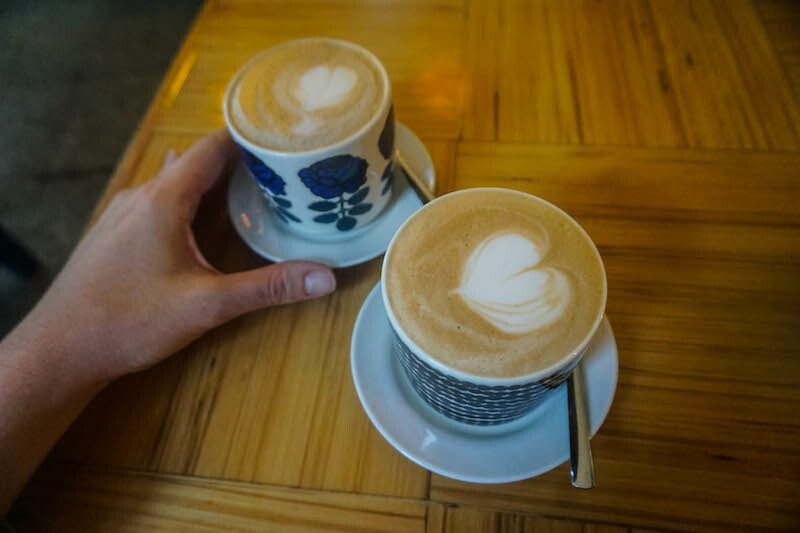 There’s no shortage of adorable coffee shops and cafés located in Tallinn. One of my favorites was August, recommended to us by our walking tour guide, located just a few blocks away from Town Hall Square in the Old Town. It’s the perfect place for a cappuccino and late breakfast. A local favorite, Balti Jaam in Kalamaja has recently been renovated and is now a creative and vibrant place to drink, snack, and shop. 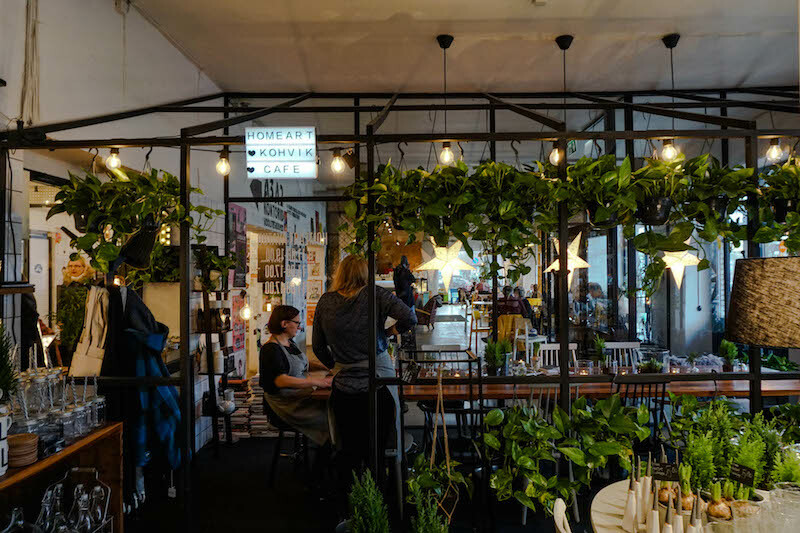 From traditional Estonian products to Taiwanese street food vendors (the bao at Baojaam get rave reviews) to funky antiques, this market really has something for everyone if you look for it. Bonus: you can totally creep on people’s dogs as you sit and drink a local beer. 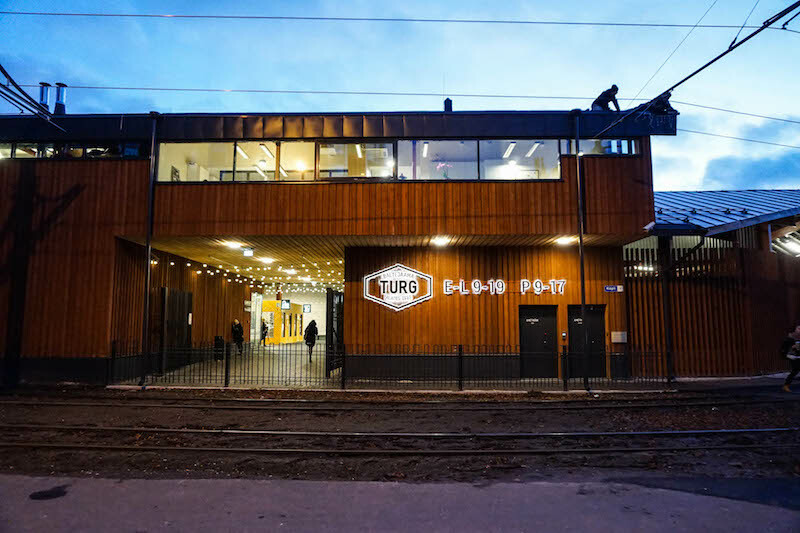 I’m a big sucker for quirky museums, and Tallinn delivers in spades. 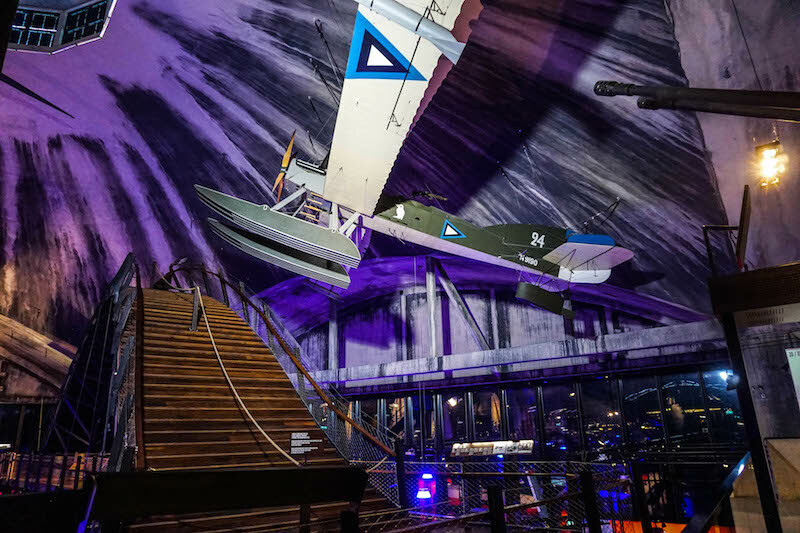 The KGB Museum is my favorite, but the Estonian Harbor Museum, also known as the Seaplane Harbor Museum, is a close second. Before you laugh me out of here and stop taking everything I say seriously (actually, that’s probably a good idea)… just take a look at this place. 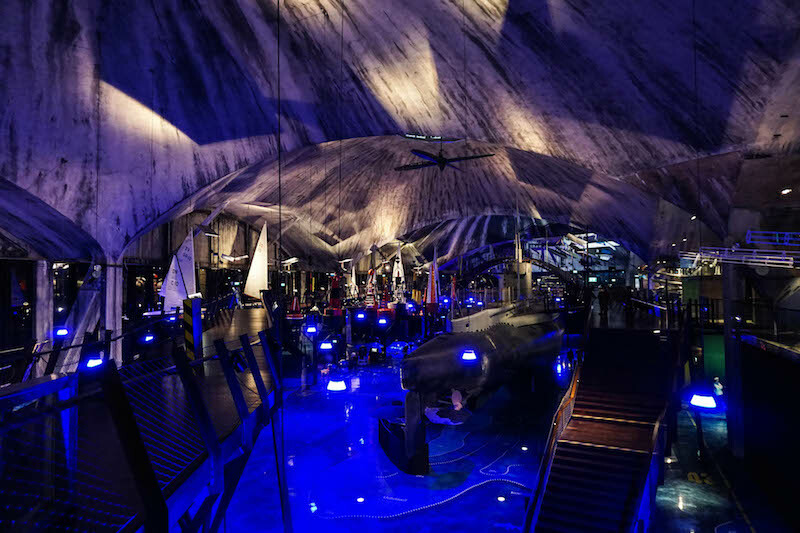 The museum’s location itself is one of its coolest draws: it’s set in an old seaplane hangar. 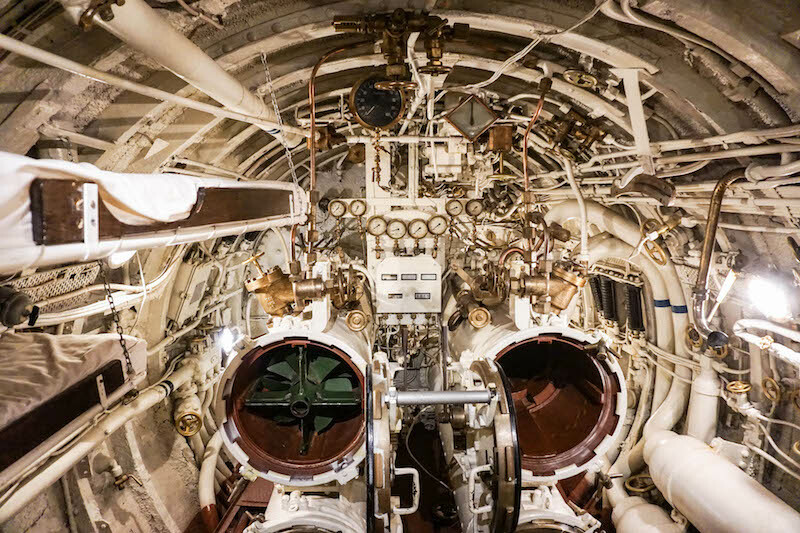 With over 200 different artifacts to explore, from the oldest ship in the country to an actual submarine you can board, there’s so much to see here. The museum is incredibly interactive and surprisingly fun given the potential for the subject matter to be a bit dry. Combined with a visit to Telliskivi and a walk around Kalamaja, it’s one of the best ways to spend a day off the beaten path in Tallinn. 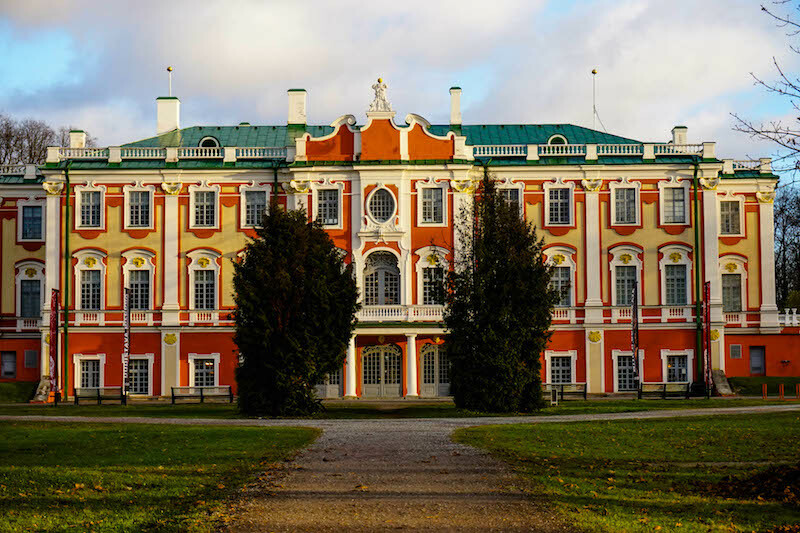 Kadriorg Palace, the 18th-century palace built for Catherine the Great, has classical Russian design credentials. 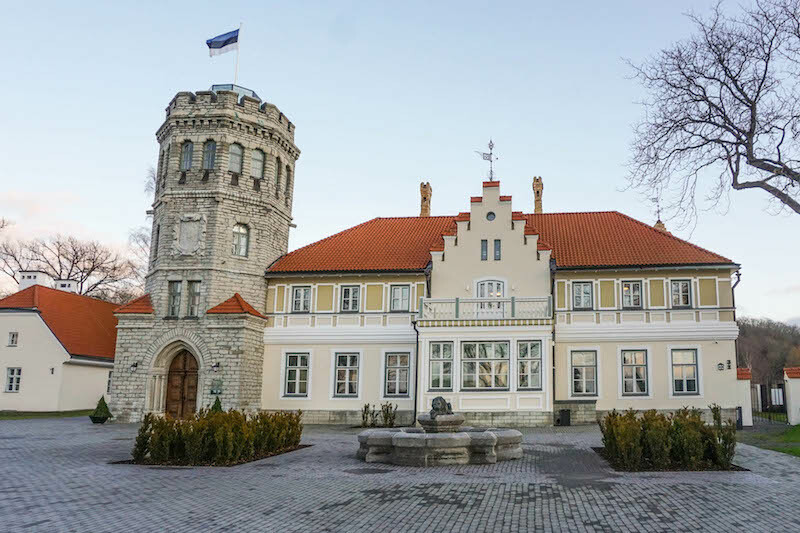 Once used by the Russian royal family, it’s also taken turns at being a summer residence for Estonian rulers, the house of the first Estonian president, and is now home to a branch of the Art Museum of Estonia. Inside, you can see a selection of foreign art from the 16th century onwards. 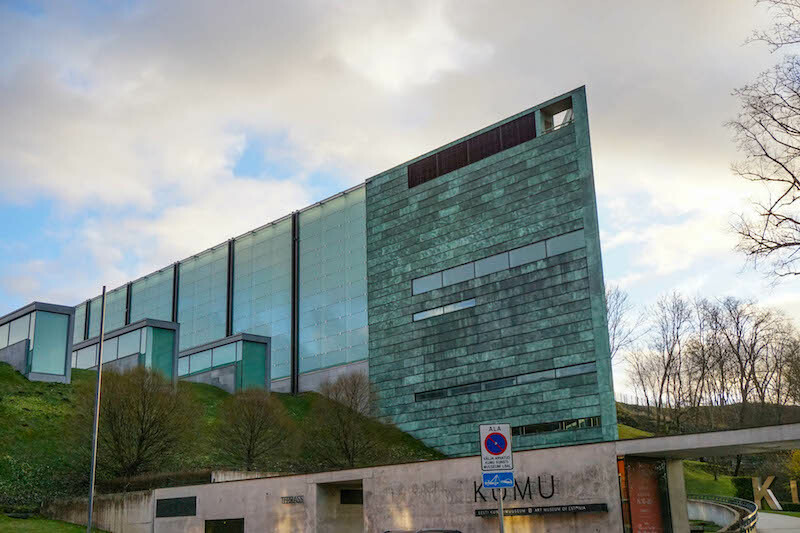 I didn’t go inside, as I was more interested in checking out the Estonian art scene, so I went to the nearby Kumu art museum which houses exclusively Estonian artists. They had some fascinating exhibits when I was there, including one that showed artistic responses to the 70s hippie movement through the lens of artists in Soviet-occupied Estonia and a contemporary exhibit about travel and human migration. Well worth the 8 euro admission fee. I was super impressed with the quality of Estonian food. I’ve traveled a lot of Eastern Europe, and while it’s one of my favorite regions in the world to travel, the food scene is often lacking (sorry, Balkan region, but if I eat another cevapcici, I just may lose it for real). Estonia’s cuisine is rapidly evolving, with a farm-to-table focus on local and seasonal ingredients. 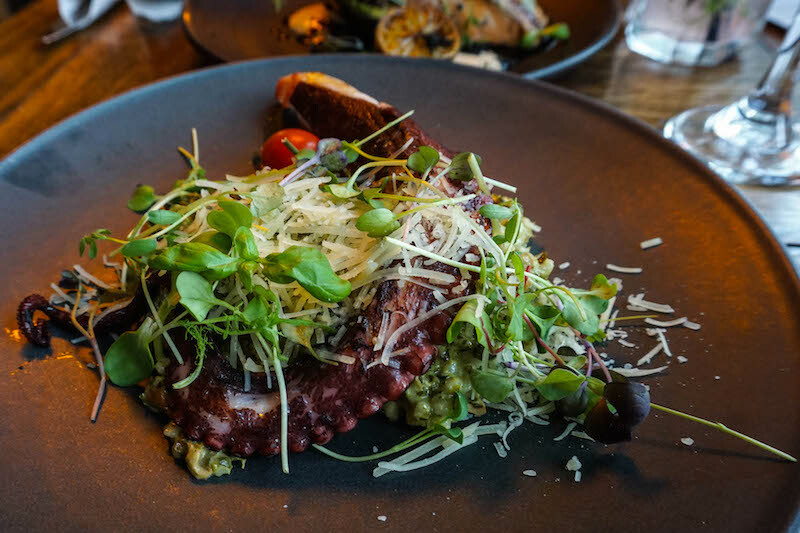 Some of the most delicious places to get a sense of where Estonia’s food movement is heading are Leib (located in the Old Town), F-Hoone (in Kalamaja), and Umami (located outside the center). No matter where you go, you simply can’t miss Estonian black bread. It’s the most delicious bread I’ve ever had — sorry, France and your beautiful baguettes, but I will double down on that. Estonian cuisine is also a lot more vegetarian-friendly than other places in Eastern Europe, which I warmly welcomed after two weeks of eating basically nothing but pork in Romania. Pirita is a suburb of Tallinn off the beaten path of most tourists – it’s about a 20 minute tram ride from the center. There, you’ll want to check out Maarjamäe Castle, and right behind it you’ll find a vestige of Tallinn’s Soviet past. Unfortunately, when I went, there was construction blocking access to the statues, as they are building a film museum there. With some clever camera zooming I was able to snap a few quick photos of this quirky courtyard, but I’d like to go back and photograph it properly in the future. 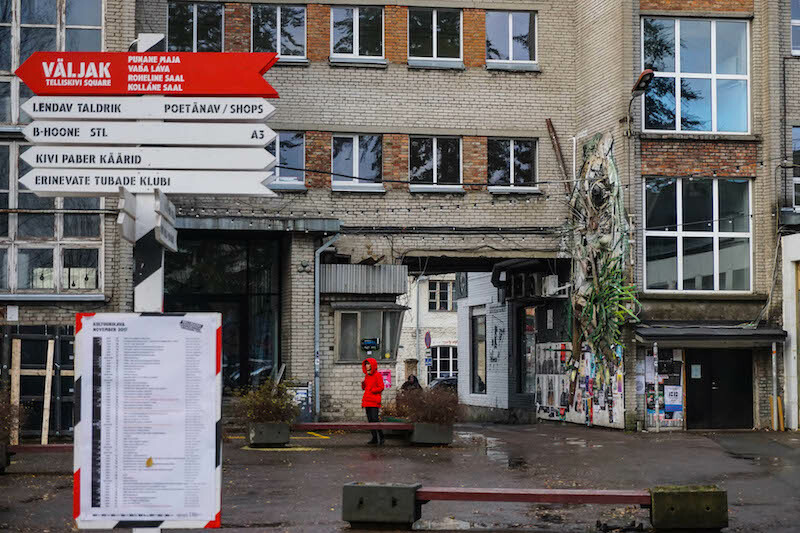 It’s one of the more unusual things to do in Tallinn, and it’s a perfect stop for people interested in Soviet history. 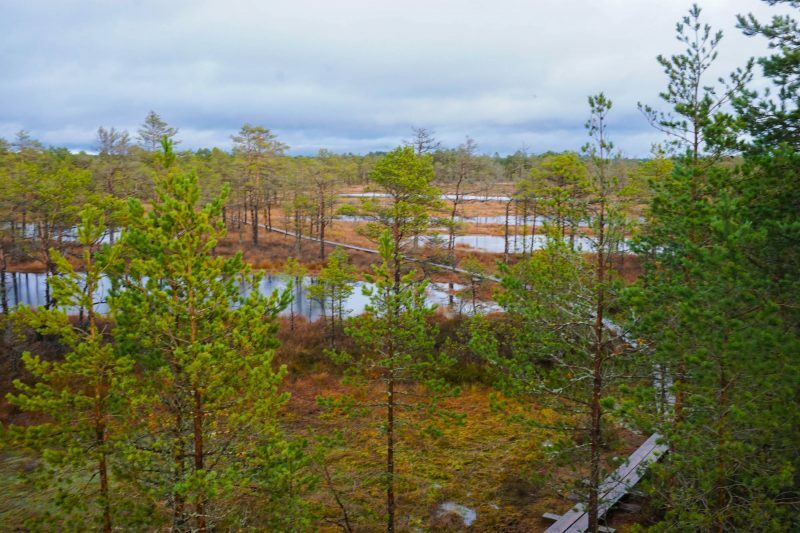 Lahemaa National Park is a mere 45 minutes away from Tallinn, and it’s definitely worth a visit if you have an extra day in Tallinn. 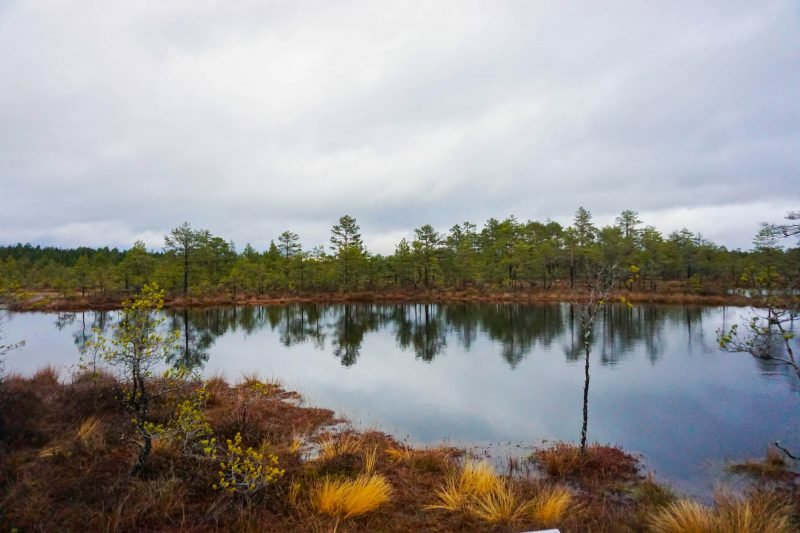 Of particular interest is the Viru bog, which has mosses dating back at least 3,000 years. You can even snowshoe across the bog, which is a ridiculous amount of fun! The bog moss color varies throughout the year, but it’s especially beautiful in late autumn / early winter, when it turns from green to shades of deep rusty orange and red. It’s quite easy to get there with a car, but there are tours you can join if you don’t want (or can’t) rent a car. When I was in Tallinn, I was a guest at the Storytellers Nest, a dedicated blogger residence near the Old Town. So, I don’t have a firsthand hotel recommendation, but I’ve culled the best rated hotels and hostels in town, keeping location in mind, for three different budgets. 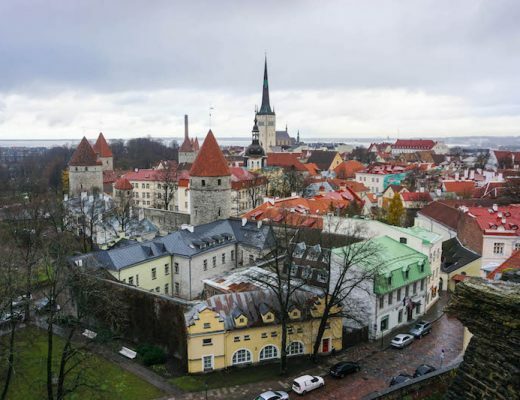 Budget (under $50 a night): Tallinn is a popular destination with backpackers along with the other Nordic capitals, so you won’t have any trouble finding a hostel in Tallinn. 16eur – Fat Margaret’s is one of the top choices for hostels, with dorm beds under $20 per night. Private rooms are also available and offer a great deal for a central location just outside the Old Town and close to the port and Kalamaja. If I was traveling solo to Tallinn it’d be my top choice – it has access to a sauna and an indoor pool! Check prices, reviews, and availability here. Mid-range / Boutique ($50-$150 a night): Tallinn is not an especially expensive city, though it is not exactly truly “cheap,” either. You will have a lot of selection in the mid-range budget tier as this is where most hotels in Tallinn fall. Design is really important in Estonia and so you’ll find a range of excellent boutique hotels. One of the nicest boutique hotels is Taanilinna Hotel, which has beautiful rustic details, bright interiors with gorgeous light, wood-beamed ceilings, and cozy rooms. It’s also right in the Old Town so the location can’t be beat. Check prices, reviews, and availability here. Luxury ($150+ a night): Nestled in the heart of Tallinn’s Old Town, Savoy Boutique Hotel is small but luxe, with gorgeous details, comfortable amenities like soft robes and welcome fruit, tasteful art deco designed rooms, and an in-house restaurant with rave reviews. Check prices, reviews, and availability here. Note: I was a guest of Visit Estonia during my time in Tallinn. As always, all opinions and experiences are entirely my own! That’s so great to hear! You are going to love the Baltics. I visited Riga and Vilnius as well as enjoyed them as well – just haven’t gotten around to writing about them yet! 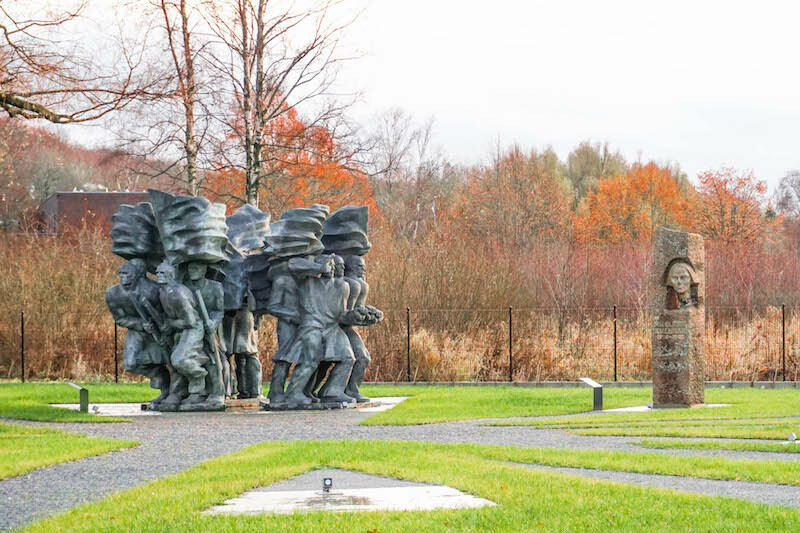 You forgot one very interesting place to visit: Kiek in de Kök Museum and Bastion Tunnels. You must make a reservation for a tour in the tunnels nyt it is worth it. Oops I guess I didn’t make it clear! I know Estonia is part of the Baltics, not Balkans, but I was talking about Eastern Europe as a whole – both northern (Baltics/former USSR) and southern (Balkans) 🙂 I tried to make it clearer. Thanks for your comment! I’m so excited to visit in Oct now! A wonderful write up. 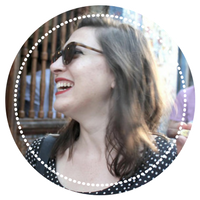 I’ll be searching out the food, wall art and craft beers – obvs a bit of architecture and history for good measure! October will be a great time to visit. I hope you have an amazing trip! Yes you do! It’s a lovely city. Many thanks for your tips on Tallinn which I found very useful to start exploring this lovely city. Thanks Ross! Glad you enjoyed and found it useful. Amazing! I’m studying my Master online with Tallinn University, I hope to visit my Alma Matter soon! Your review made me put Tallinn in my top 5. That’s wonderful to hear! It’d be a great city to study in!